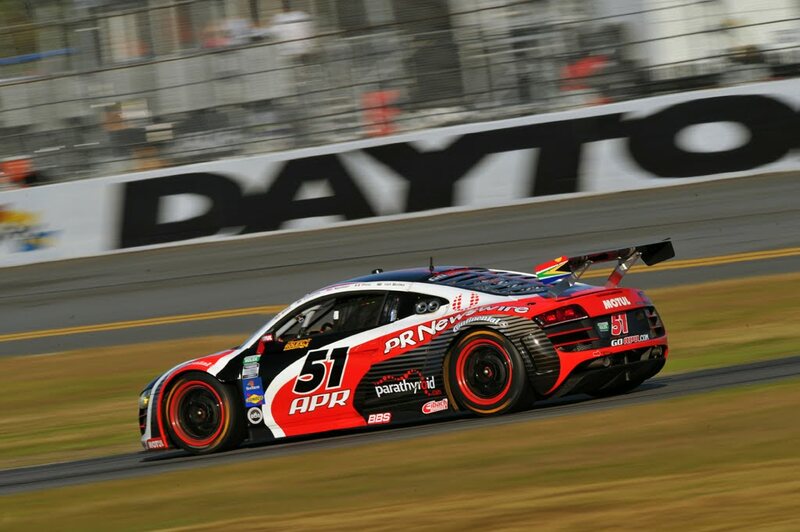 Despite being plagued by mechanical problems throughout the race, both Audi R8 GRAND-AM teams would persevere to see the checkered flag Sunday at the 50th running of the Rolex 24 at Daytona. 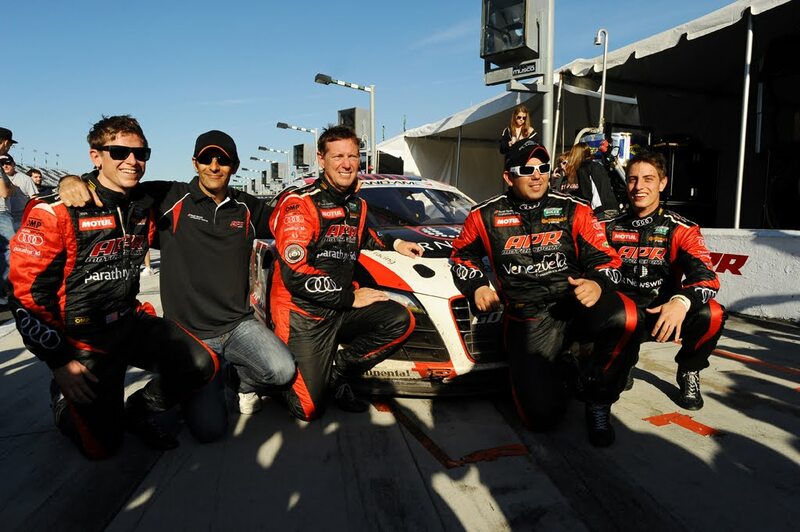 Finishing in 31st place was Team APR Motorsport and drivers Ian Baas, Nelson Canache, Dion von Moltke, Dr. Jim Norman and Emanuele Pirro. 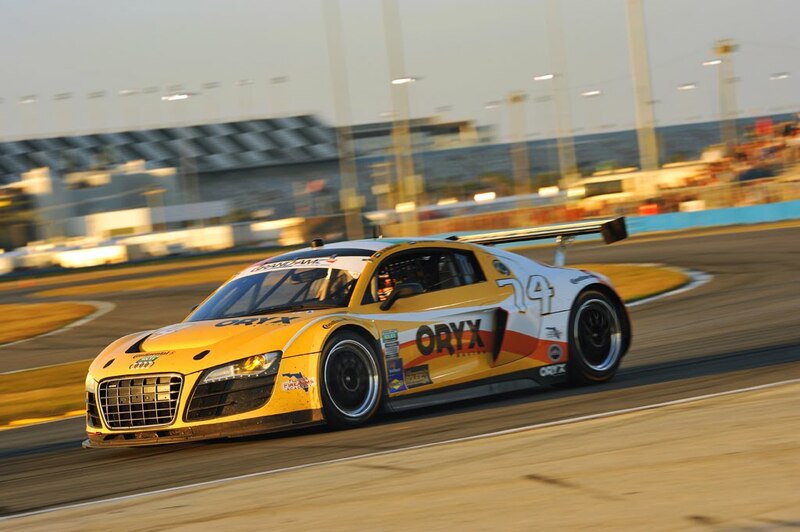 In 32nd place was the Oryx Racing team and drivers Humaid Al Masaood, Saeed Al Mehairi and Steven Kane. Press release and photo gallery after the jump. 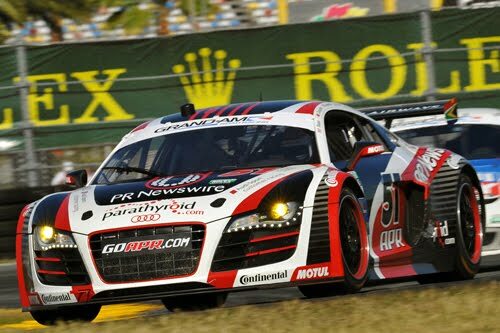 Ingolstadt, January 29, 2012 – Further boost for an attractive scene: the GRAND-AM Rolex Sports Car Series has a new member – the Audi R8 GRAND-AM. 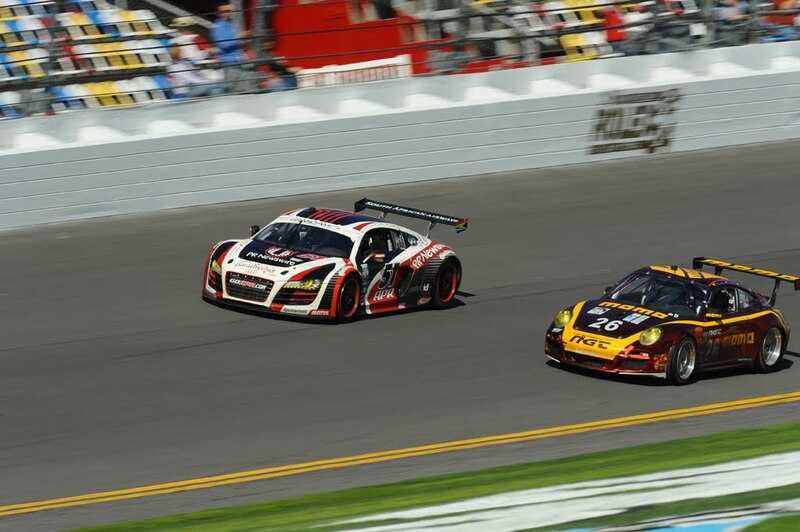 Two examples of the powerful 480 hp GT sportscar celebrated their premiere in tough conditions at Daytona. 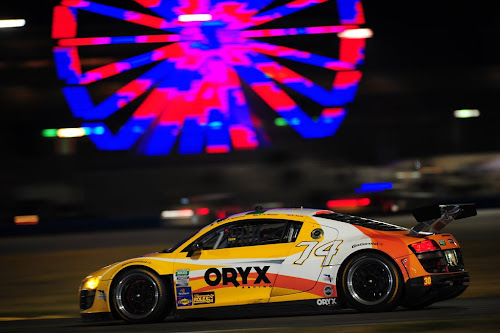 The customer teams APR Motorsport and Oryx Racing were classified at the finish. 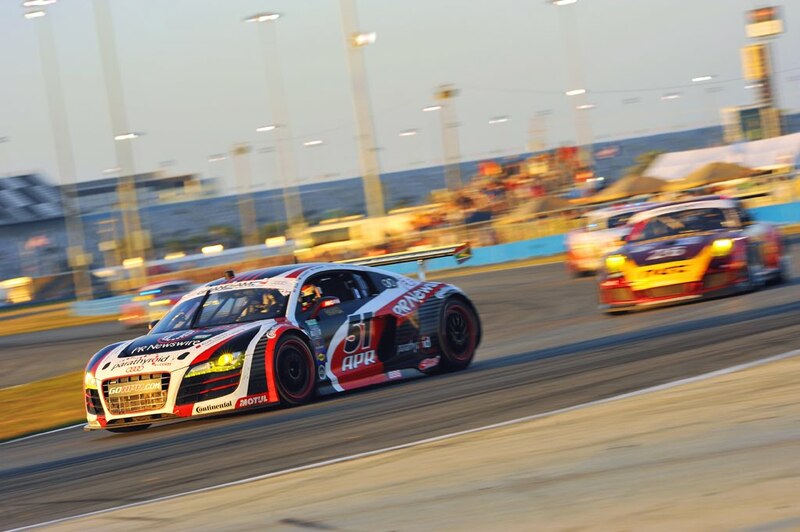 Audi Sport customer racing’s attractive program is a valuable element richer: the Audi R8 GRAND-AM vitalizes the hard fought North American market in GT racing since January. No less than 44 GT race cars contested the season opener in Florida. The 50th running and anniversary event of the ‘Rolex 24 at Daytona’ provided a worthy venue for the debut of the Audi R8 GRAND-AM car. Team APR Motorsport finished in 31st place with its drivers Ian Baas (USA)/Nelson Canache (YV)/Dion von Moltke (ZA)/Dr. 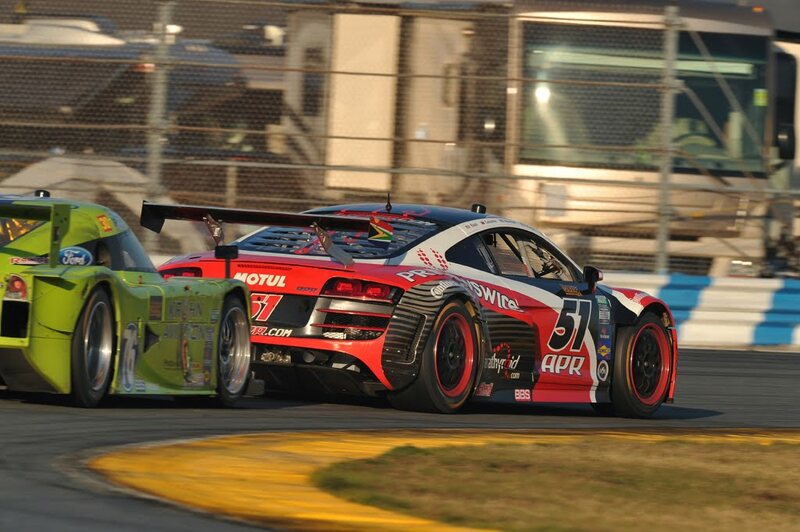 Jim Norman (USA)/Emanuele Pirro (I). Oryx Racing came home in 32nd place with Humaid Al Masaood (UAE)/Saeed Al Mehairi (UAE)/Steven Kane (GB). 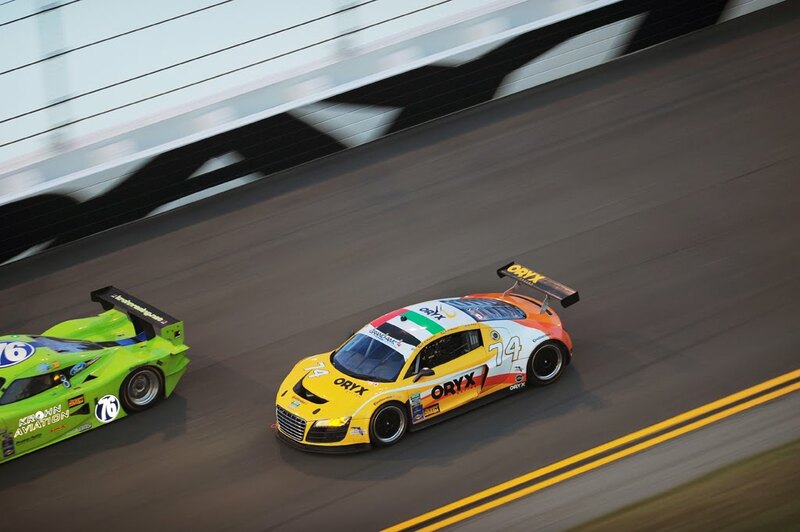 At all other GRAND-AM races up to the end of September the race car, newly developed by quattro GmbH, will compete in the United States and Canada in the hands of private customer teams. 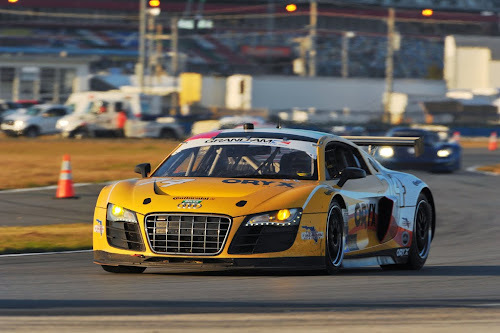 The customer racing car is distributed through Audi of America. 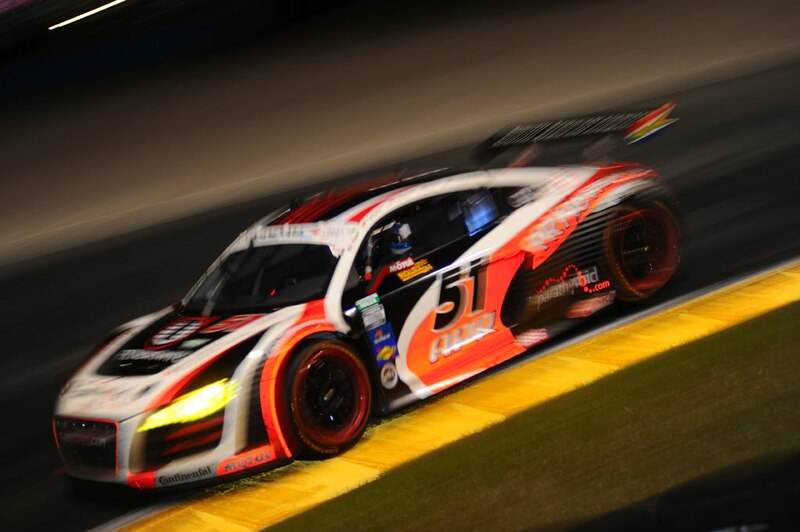 Brad Kettler, who has been integrated for many years as engineer in Audi’s Le Mans program, has built up a service and logistic structure. 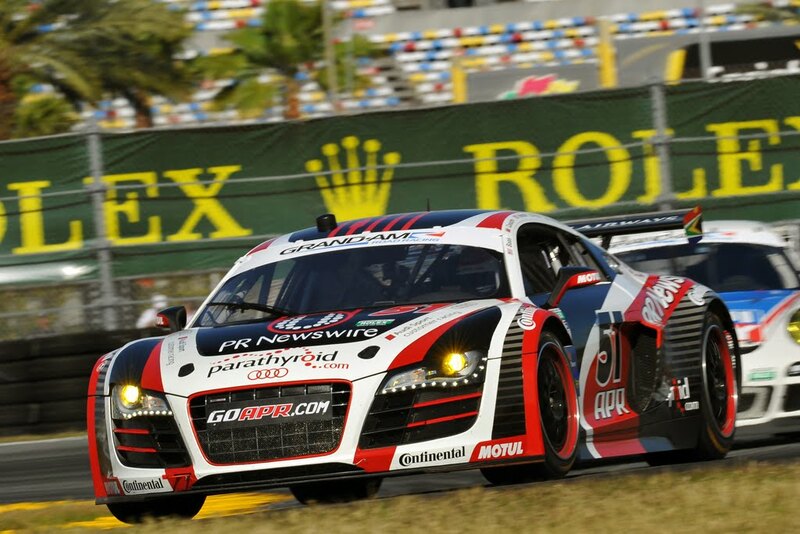 As a result, the Audi customers are provided with expert support during race preparation and also during the events. 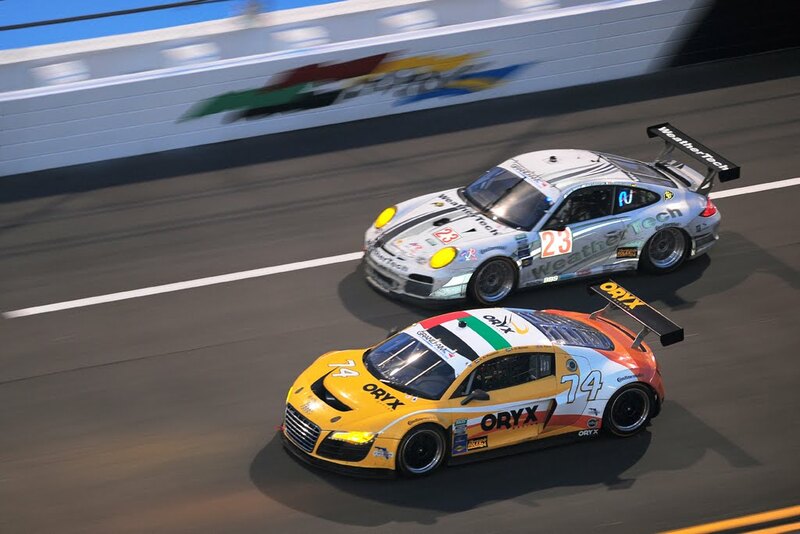 In addition to the bases in Japan, Australia and China a fourth base is now also created in the USA in order to provide optimum support for the private teams with their cars. 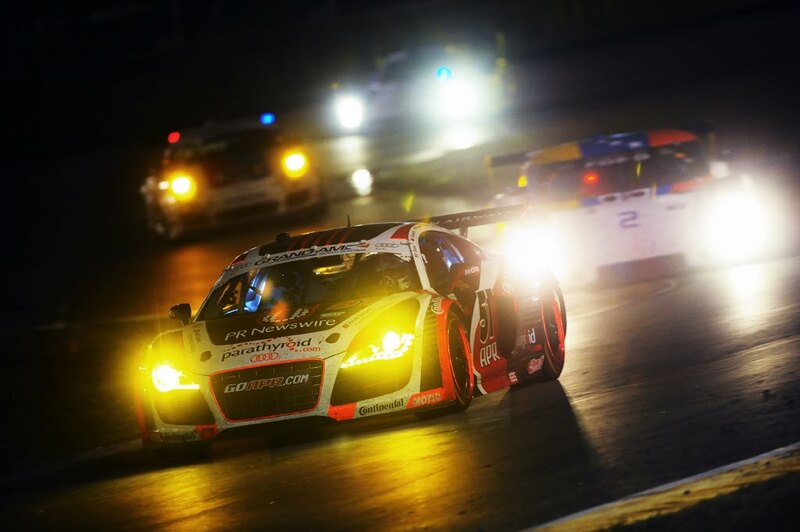 Under these conditions the Audi R8 GRAND-Am has the opportunity of continuing the blossoming success story in the hands of customer teams. 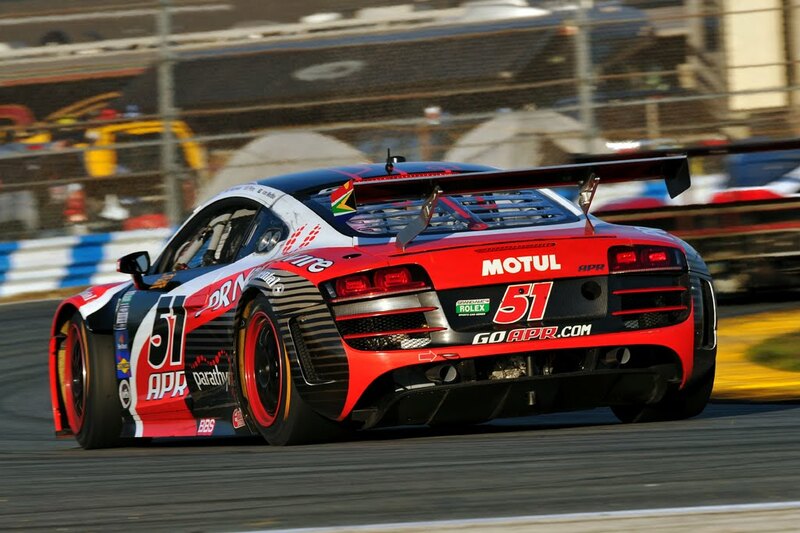 The US version was developed using the Audi R8 LMS as basis. 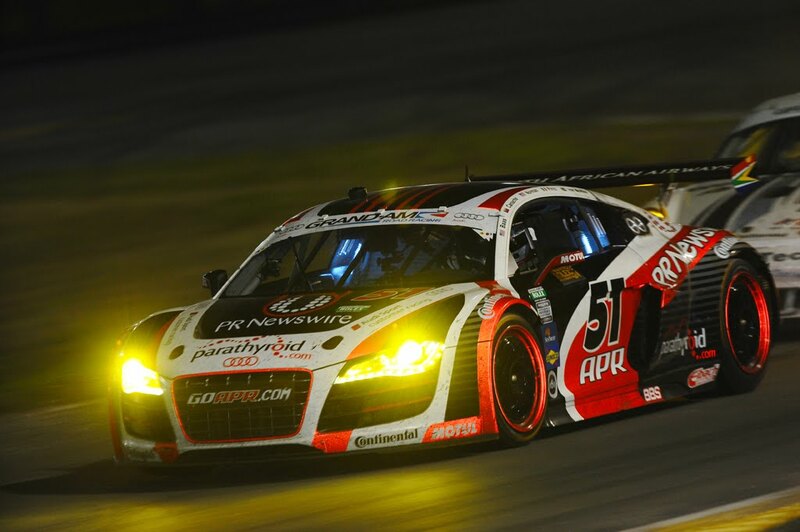 This GT3 sportscar has won no less than 118 races and 13 championship titles worldwide since 2009. 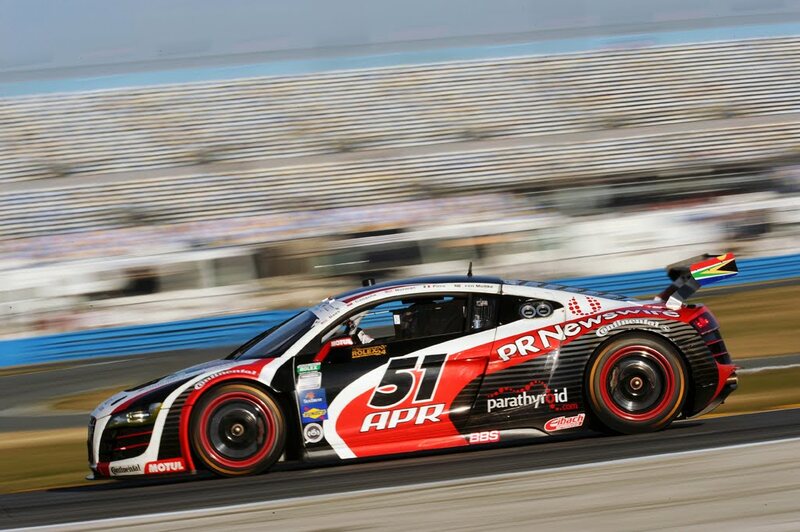 Its successor – the Audi R8 LMS ultra available from March – will make its debut in a few weeks.